A perfect gift for a September baby. A central round-cut created white sapphire sits at the center of baguette-cut created blue sapphires for a total weight of 1 5/8 ct in a setting of sterling silver featuring a gallery back and exquisite detail on the sides. 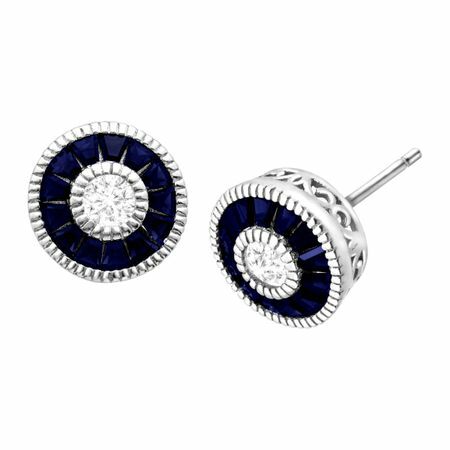 Earrings feature posts with friction backs for easy insertion and removal. Pieces measure 3/8 inches in diameter.